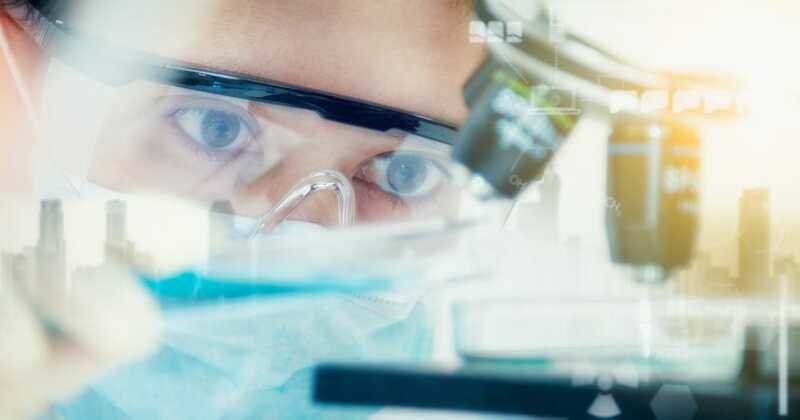 Industry-leading enterprises have tended to invest heavily in laboratory IT initiatives to drive the innovation necessary to stay competitive while improving laboratory efficiency. These organizations deploy applications for all the right reasons – reduce costs, improve organizational efficiency, drive innovation. Unfortunately, application bloat is an all too common occurrence across large organizations. Enterprises tend to accumulate applications for a variety of reasons. Organizational changes such as mergers and acquisitions tend to result in redundant and disconnected organizational application portfolios. Expanding regulatory requirements and technological advances have also contributed to application portfolio complexities. Many organizations have built niche and customized applications to support unique business processes. These applications can be difficult to support, upgrade and integrate. Sometimes groups of users continue to use old systems due to familiarity or features that are not present in newer applications. Other times, new applications have low adoption rates due to a disconnect between business needs and the IT team that built the application. Many laboratories today are bogged down with disparate, disconnected, unused and often redundant applications across their IT portfolio. These applications require significant resources to maintain and yet do not provide substantial value for the business. They also impede organizational agility and innovation. The end result is a complex, inflexible, and costly IT environment with information silos and redundant processes and applications. In this blog, we will explore a process known as application portfolio rationalization (APR), which along with IT roadmapping, can provide an effective means to address this problem. Retiring aging applications that don’t add a lot of value. Standardizing on a common technology platform and version. Identifying gaps in the current application portfolio. Through APR, organizations can transform an overly complex and costly application portfolio into a lean, agile and productive one that is aligned with key business needs and adaptable to an ever-changing and highly competitive business environment. Traditional approaches to APR are executed like an application inventory initiative using minimal resources and usually end with simple buy-sell-hold designations in a spreadsheet. These efforts are not very effective at creating significant benefits, as they do not enable a useful dialog between the business and IT from which strategic decisions can be made. The benefits of APR in the lab are best achieved through a strategic approach that utilizes APR as one step in a process that aims to link overall business goals and objectives with laboratory workflows and IT requirements. Such an approach serves as a strategic initiative for improving the overall business effectiveness and operational efficiency of the organization. The first step in an APR process for the lab is for business analysts to conduct a series of interviews with business stakeholders to document the current state of laboratory business processes, technology and IT architecture. In addition, analysts should discuss the project at a high level with the organization’s management team to understand the goals, aspirations and objectives of the desired future state of the laboratory. Once the current state is fully documented, the project team will work to create a future state model by defining the goals, workflows and requirements of the desired future-state. The process of documenting the laboratory environment’s current state and future-state requirements facilitates an understanding of current IT strengths, weaknesses, opportunities and threats. Understanding each application within a broader perspective that seeks to link business goals to business processes (workflows), and business processes to application requirements, is essential to maximizing the benefits of APR. How many people use an application is ultimately far less significant in this process than understanding the business criticality of each application and how effectively it furthers the company’s goals. From this broader context, each application can be analyzed to determine how it aligns with the company’s future-state vision and brings value to the organization over its lifetime. Redundant or low-value applications can be identified and marked for decommissioning, necessary software upgrades and/or modernization can be scheduled for high value applications, while any gaps in the company’s application portfolio in terms of satisfying business needs and objectives can also be identified. The process should conclude with the production of an Opportunity Matrix document that details the recommendations for each application in the laboratory ecosystem. Once the APR exercise has been completed, it is time to use this data to develop a comprehensive roadmap document to guide implementation of the future state model. This roadmap documents both short-term and long-term opportunities to improve the applica­tion portfolio, and these opportunities should be prioritized based on the ease and cost of implementation, savings and inter-dependencies. The roadmap should focus on prioritized opportunities with high-level benefits first, and should detail the criteria (e.g., alignment with business strategy, business impact, cost, management approval, critical business process dependencies, etc.) used in prioritizing and selecting the path to full implementation. A phased-rollout or iterative approach is often the most practical way to design a roadmap, as it effectively minimizes risk and reduces the impact of change on the organization. Companies in all industries are under significant pressure to gain operational efficiencies and improve innovation by reducing complexity and the TCO of their application portfolios. Given the competitive nature of the global economy, it is critical that organizations with significant IT assets undergo a strategic APR that is focused on understanding, analyzing and transforming the current application portfolio into an optimized laboratory IT ecosystem. An initiative of this nature is best conducted as a continuous improvement program that requires regular re-evaluation to optimize the effectiveness of the portfolio and its alignment with business goals. A successful APR project requires a very diverse project team with a variety of skills and knowledge – business process consultants, domain experts, technology architects as well as a variety of company stakeholders to participate in the collaborative process of creating the application recommendations and IT roadmap. 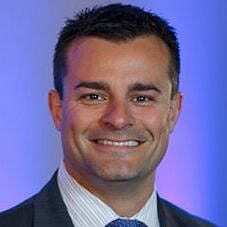 Dale Curtis Jr. is the President of Astrix Technology Group. For over 18 years, Mr. Curtis has built an impressive track record of leadership and success in delivering high quality technology and laboratory informatics solutions to scientific organizations involved in research, development, quality and manufacturing. He has a proven talent for helping these organizations deploy innovative solutions that provide a step change in business intelligence, turn data into knowledge, increase organizational and operational efficiency, improve quality and facilitate regulatory compliance.